As the temperatures have dropped significantly it is obvious and naturally needed to keep ourselves warm. While everything might sound cosy and snuggly, the protective, and comfortable pair of gloves that keep you warm also sometimes keep you away from replying to a text or answering a call. 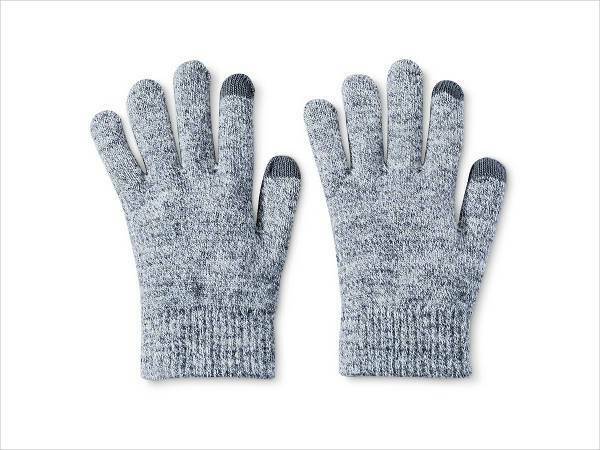 No need to turn on the crazy, as there are some modish pair of gloves that will not just save you from a frostbite but also keep you plugged in and on the move. Look below for the 10 best touch-compatible pairs that you should definitely get your hands on this winters. Take a shift from the standard black pairs and add a pop of colour with this contrast bow tech-friendly gloves by Kate Spade. 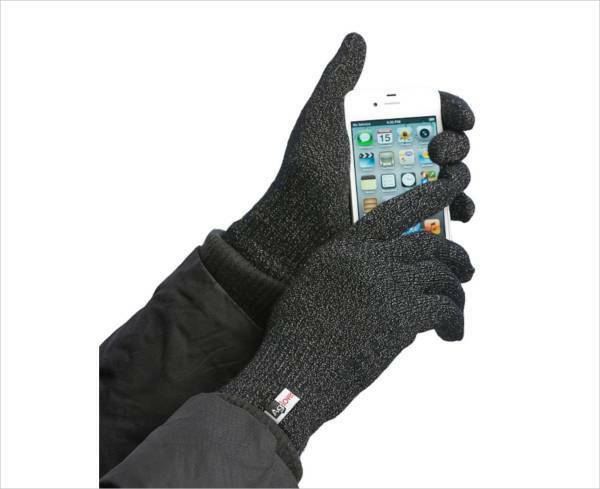 Versatile enough to match well with a majority of coats, you can also easily text without the need of removing the gloves. 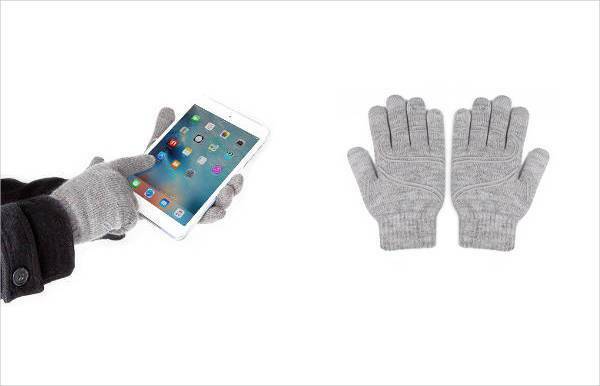 If you are someone who tends to forget your small to big belongings everywhere, this Mossimo tech gloves are inexpensive and also touchscreen compatible. 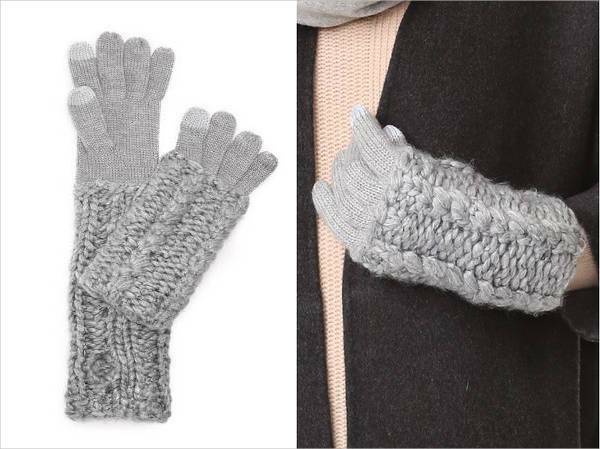 Keeping your wrists and palms extra warm, these Rebecca Minkoff gloves comes with cuffs made from thick cable knit. The cuffs can also be rolled up and down making it easy to wear them in two different ways. The patches on the fingertips make the gloves tech and touchscreen friendly. 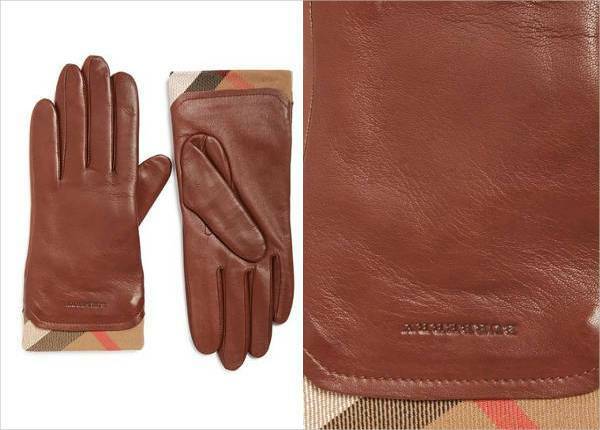 Bring a luxe touch to your winter outfits with this polished and elegant pair of Burberry gloves. With the signature check pattern on the cuff and the touchscreen capabilities, the gloves are one modern and timeless pair that will never run out of style. 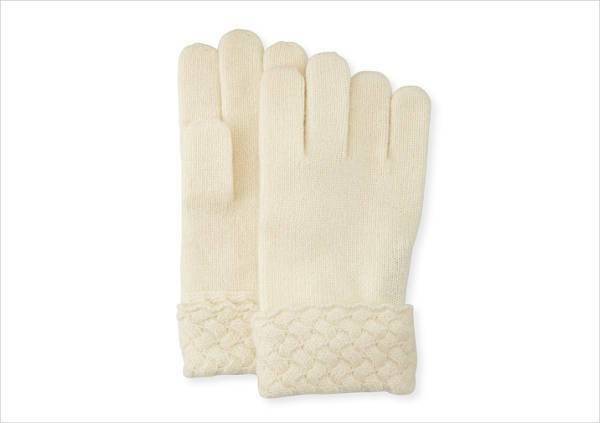 If you are looking for something simple, solid and neutral this cashmere gloves by Sofia carry a classic and evergreen style. The gloves have also been updated with conductive thread making it perfect to keep you warm and connected. 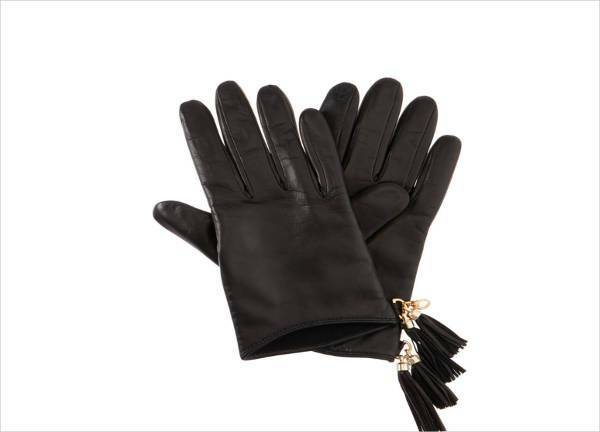 If you are someone who likes the cuffs shorter, these Henri Bendel gloves make an excellent choice. The tassels attached on the edges with a clip make the design fully functional and fashionable. Looking classy and fitted, these touchscreen friendly gloves by Warmen are made of soft Italian leather which takes the shape of the hands over time. The criss-cross bow at the wrist further adds a feminine quality to the gloves. 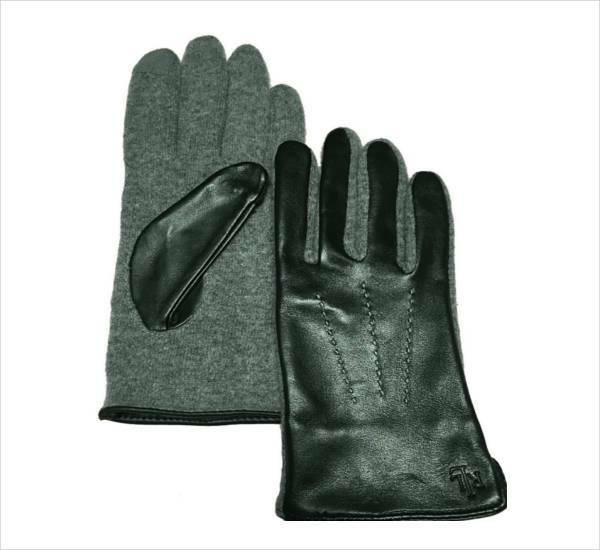 These Ralph Lauren gloves come with thumb and index fingertips which are designed specifically for comfortable touchscreen use. Made with genuine leather, the fabric uses a blend of wool and nylon for warmth and comfort. A slit at the wrist makes way for easy movement. Along with keeping warm, the Moshi Digits touchscreen friendly gloves are an excellent pick for daily use. The “GripTrak” pattern on the palm ensures that the phone doesn’t slip or drop down from your hand. 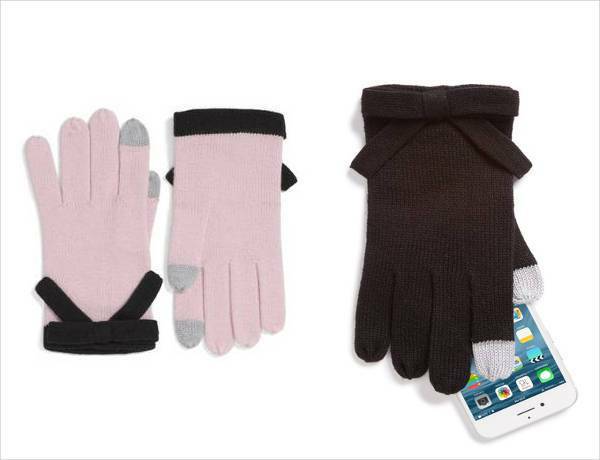 The gloves come with a 10 finger functionality that means you can use and access the phone from pretty much any finger. 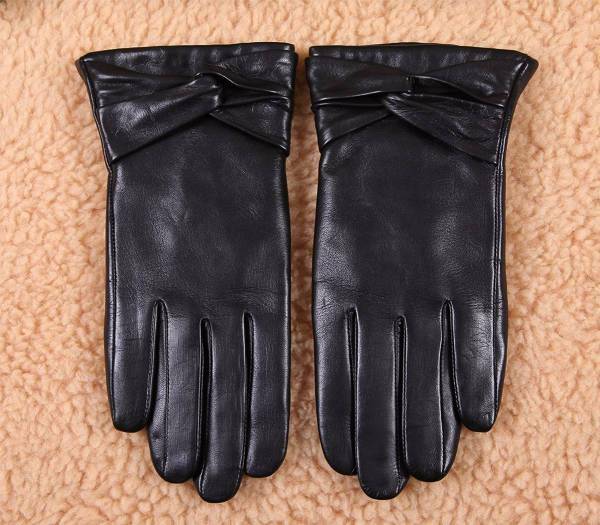 Available in black, red, brown, navy, or white, the gloves though aren’t very thick but they are an easy and affordable option for keeping you comfortably warm in the not very cold regions. Who says you have to compromise one to appreciate the other, enjoy the best of both worlds with equal warmth and connectivity.